Please our How to Apply page. Applications to the masters programs are accepted on a rolling admissions basis throughout the school year. However, in order to allow sufficient time for your application to be reviewed by faculty, it is strongly encouraged that students complete their application submission by the recommended deadlines. Applications received after these dates will be reviewed based on seat availability. Once you have submitted your online application, you can then view any updates made by either yourself or the Office of Graduate Admissions by visiting the online application status portal. When and how will I be notified about my admissions decision? Master's applications are generally reviewed within three to four weeks. Because each application is handled on a case-by-case basis, however, the process may take longer. Once a decision has been made, you will receive an email from the Office of Graduate Admissions informing you that an update has been made to your application status. Decisions on Ph.D. applications are generally made approximately six weeks after the deadline. What transcripts am I required to submit? Prospective students are required to submit official college transcripts from all institutions attended. Transcripts must be submitted in sealed envelopes and mailed directly to the Office of Graduate Admissions. To expedite the process, unofficial documents may be uploaded through the online application system for initial review. However, all official documents must be received by the Office of Graduate Admissions. Please see the graduate student admission policy. What makes a transcript “official?" The transcript is sent to the Office of Graduate Admissions at Stevens in a sealed envelope directly from the institution. A transcript is provided by the student in a sealed, unopened envelope that the student obtained from from the institution at which they attended. The transcript is sent electronically to the Office of Graduate Admissions directly from the institution through a verified sender. In all of the cases above, the official transcript should contain a seal and/or official signature from the institution. Additionally, if the transcripts are in a language other than English, the student will be required to submit a legal translation. Does my international transcript require a foreign evaluation? We recommend that you use an accredited foreign credential agency such as WES for the translation of your foreign transcripts. While it is not a requirement, a department reserves the right to request an evaluation upon review of your application. Please note that only unopened transcripts received directly from a credentials evaluation service are considered official. An original transcript must also submitted. Should I submit my high school transcripts or mark sheets? High school transcripts or mark sheets will not be reviewed while assessing your eligibility for admission. We recommend that you do not upload them. I am a graduate of a Stevens undergraduate/graduate school. Do I need to send my transcripts? Applicants who have previously graduated from a Stevens degree program are not required to upload their transcripts when applying for a new program. The Office of Graduate Admissions will print the student’s official Stevens transcripts and upload them directly to the applicant’s application portal. What does the academic calendar look like? Stevens Institute of Technology follows a traditional academic semester system, with fall and spring semesters spanning 15 weeks and a total of 30 weeks of instruction for the academic year. View full academic calendars for 2015-16 and 2016-17. When are graduate classes typically held? What study options are available? Most graduate classes Stevens take place in the evenings because many of our students are working professionals. We also offer many online courses for those who cannot attend class on campus. All master’s degrees and graduate certificates are available on a full-time or part-time basis. This option is available to students who are not on an F-1 or J-1 status. Please note that students wishing to switch to full-time study must meet the requirements, including the submission of test scores if applicable. Online courses are delivered though Stevens' award-winning distance learning module. Online students benefit from the same faculty, course design and requirements as those studying on campus, but can pursue their coursework at a flexible pace. How may I take courses without enrolling in a degree or certificate program? Students not on an F1 or J1 visa who are interested in taking courses without enrolling in a degree or certificate program may submit a Non-Matriculating Status Application/Enrollment Form. This allows a student to take up to three classes over the course of one year without being enrolled in a degree granting program at Stevens. Please note that Stevens does not guarantee admission to a degree or certificate program after taking non-matriculating classes. Completed forms can be sent to the Office of Graduate Admissions at [email protected]. What is the SAGE program? The Stevens American Graduate Experience (SAGE) is an exclusive summer enrichment program for incoming international Stevens graduate students. It has been developed to immerse incoming students in American language, culture and academics prior to the start of fall semester classes. I was previously accepted to Stevens but never attended. Do I need to reapply? I am interested in a program offered through my employer, who is affiliated with Stevens. How do I apply? For applicants interested in a program offered through their employer, corporate and government partners are supported by the Corporate Programs Support Center at [email protected]. Can I pursue two programs simultaneously? The student outlines in writing the program that he or she would like to undertake and submits it to the Dean of Graduate Academics. If the Dean of Graduate Academics approves the program, an interdisciplinary advisory committee is appointed to study the program. If the committee accepts the program, the student and the committee prepare a study plan and submit it to the Dean of Graduate Academics for approval. Can I change my major/program? During their academic careers at Stevens, some students find that their interests or goals change. If you have been admitted and you wish to change your current program, you may fill out and submit a program change form to the Office of Graduate Admissions. Your application fee will be waived and your request will be forwarded to the new department for review with any materials in your file that have been previously submitted. Please note that students who have already graduated from Stevens or are seeking to pursue an additional degree would have to submit a new application. Please e-mail the completed form to [email protected] for processing. Like a regular application, it may take three to four weeks before you receive an admissions decision. Please note that Stevens does not guarantee admission to an alternative degree or certificate program after submitting a program change request. If a study plan has already been filed for the original major, a new study plan reflecting the new major must be submitted if you are accepted to the requested program. Provost’s Masters Fellowships are offered each year for the fall and spring semesters to exceptional students interested in pursuing a master’s degree on a full-time basis. 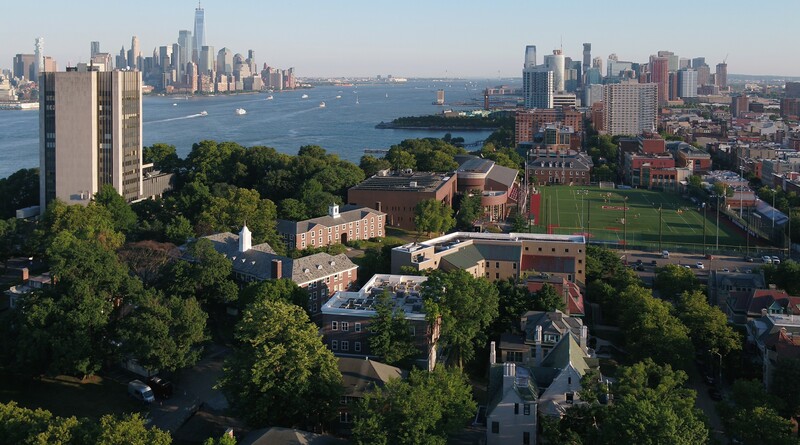 These one-time fellowships are awarded to qualified students at the time of their admission to any one of the master’s degree programs offered at Stevens. Selection criteria include GRE/GMAT scores and academic performance as an undergraduate. TOEFL scores are also considered as a criterion for international applicants. Assistantships are graduate funding opportunities that can take many forms. A student awarded a research or teaching assistantship may receive tuition and fees for up to three courses per semester during the Fall and Spring semesters plus a stipend or some combination of tuition, fees and stipend. In exchange for the predetermined funding, the student must work up to a maximum of 20 hours per week during the semester and maintain a satisfactory academic performance. Stevens does not provide what is commonly known as “tuition waivers;” tuition and fee costs cannot be waived. The number of assistantships awarded each year is limited. If you do not receive an assistantship for your first year at Stevens you can pursue an assistantship within your department after you arrive. Each department identifies and awards assistantships to students, while the Registrar’s Office administers the process. For more details regarding assistantships, please refer to our Teaching & Research Assistantship Guide. I am an international student. What are my financial aid options? For details regarding all forms of financial aid Stevens has to offer, please visit our Financial Aid page. As an international student, do I have to submit financial documents when I apply? It is highly recommended that all financial documents be uploaded at the time of initial application submission. This will allow the International Students and Scholars Services Office (ISSS) to begin working on issuance of the immigration documents required for a student visa immediately after acceptance. Submitting the financial documents will not affect your admission decision. What forms do I need to submit in support of an I-20? What is the total dollar amount I need to show in support of an I-20? Students planning on enrolling in a master's, Ph.D. or certificate program must show proof of funds for tuition, fees and living expenses for the first full year of study. This amount is available on the Financial Verification Form. Can I use another institution's I-20 to enter the United States if I intend to attend Stevens? Students entering the United States with the sole intention of attending Stevens Institute of Technology must obtain their student visa using the Stevens’ I-20. Students who enter the United States based on a visa obtained through another institution’s I-20 will be treated as transfer students if after entering the United States they wish to transfer their SEVIS record to Stevens. It must be noted that the college or university the student is transferring from has the ability to apply rules and regulations on transferring the SEVIS record prior to enrollment. I am an international student who earned my undergraduate degree in three years. Can I apply? The Office of Graduate Admissions requires that all applicants have a bachelor's degree from an accredited college or university. Accrediting agencies typically define a bachelor's degree, in the United States educational system, as requiring four years to complete. In some instances, however, an international three-year degree may be recognized as the equivalent of a four-year degree in the U.S. To be reviewed for admission to a graduate program at Stevens, applicants who graduated with a three-year degree are required to submit a World Education Services (WES) Document-by-Document evaluation that attests that the three-year degree earned is equivalent to a four-year U.S. undergraduate degree.